When adversity hits hard, like hurricane Irma in Florida, people’s true character comes through. 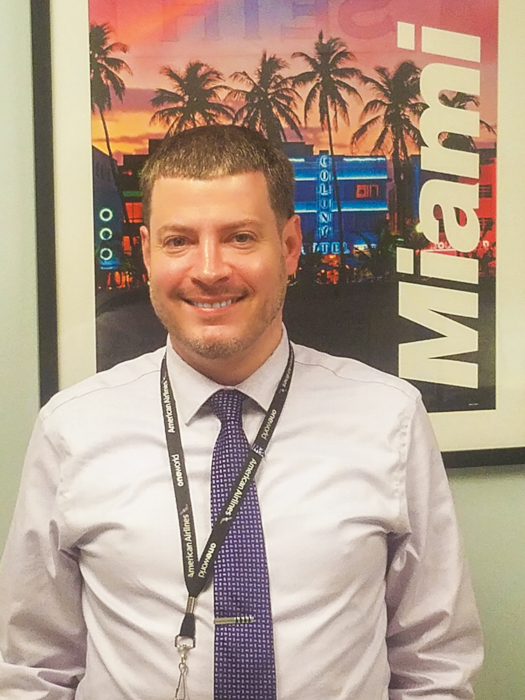 For the many Envoy employees at the Miami International Airport (MIA), altruism and goodwill shined bright. Before Irma was even close to Florida, Envoy began an all-hands-on-deck preparation for the hurricane, as well as packaged together relief supplies to send to Envoy stations in the Caribbean who had already been devastated by the storm. 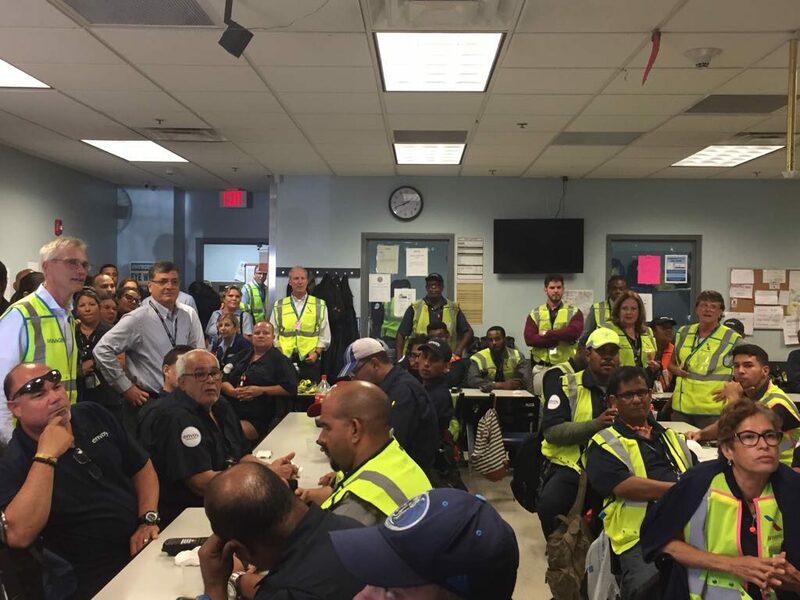 Soon thereafter, American Airlines President Robert Isom paid a visit to MIA to commend all American employees for their hard work and excellent character during the storm. In the middle of all this was MIA Ramp Manager Seth Haldeman who experienced the airport’s hurricane preparation from inside the operation. Seeing all of the big-hearted actions and heroism, Seth was compelled to write Envoy leadership a letter thanking them for their support. Below are Seth’s letter and a Q&A covering his experience before, during and following hurricane Irma. On behalf of Miami, I want to thank you for all the support you’ve given us this past week. Miami hasn’t seen a storm this size in over a decade, and the preparation and recovery from it were new for the vast majority of our team members. We had our challenges along the way, but despite these challenges we all took care of each other. A lot of good has come out of a difficult situation. We even have many employees asking what they can do to help out Key West, even though we know they’re having their own troubles. We’re very proud of our family here in Miami, and we wanted to ensure that you know that we appreciate all you’ve done for us. 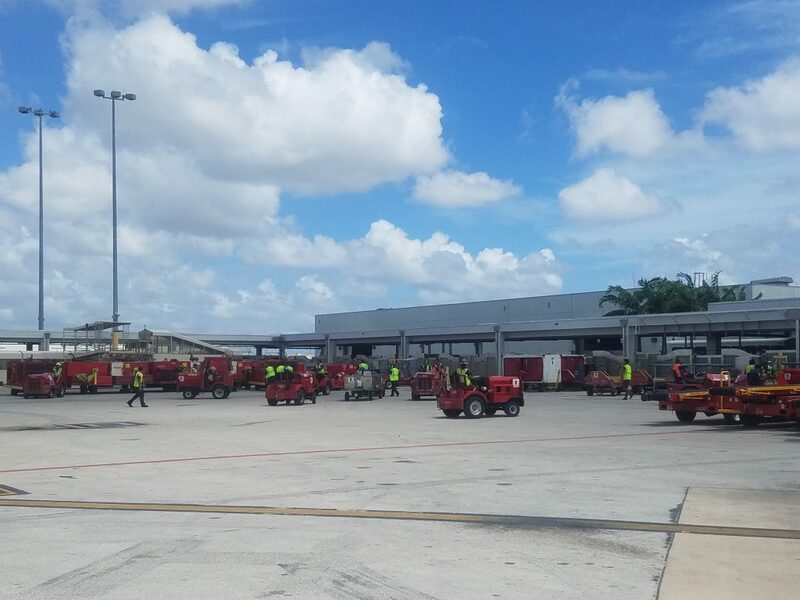 MIA Ramp Services storing ground equipment before hurricane Irma arrived. What preparations did you make at MIA in the days Irma’s landfall? As a group, we started preparing for Irma a week before she was scheduled to hit South Florida. We stocked up on supplies we felt would be needed after the storm passed, such as tarps for damaged roofs. We also stocked up on dry goods and canned food supplies that we could hand out afterwards. As we wound down the operation before the storm approached, I had to ensure all of our ground equipment is properly secured and staged in a way that we could easily access it to be able to put the ramp back together. Before I left for the airport hotel, I took hard copies of the employee contact lists just in case we lost power, so we can check on their safety. After the storm passed, I had to go make an assessment in the terminal and the ramp to ensure we could safely restart the operation. Can you speak to Envoy’s family-like culture and how important, in hard times like these, that is for employees? Most of us had property damage. We still had some team members without electricity and water more than a week after the hurricane hit. We started networking and hooking up employees with needs with those that were offering help. There have been a lot of feats of heroism going on in the Envoy system, any that stand out to you? One of the hotels where the majority of our volunteers were staying lost power and water even before the storm hit. Upon hearing of this crisis, some of our other volunteers scrambled to find restaurants that were still open, and braved the impending storm to deliver food and water to those team members. And it wasn’t done for just Envoy. There were many American Airlines volunteers at that hotel as well, and Envoy provided for them, too. According to one of my shift managers that was staying at the hotel, if one of our team members had something to share, it would be shared, and with as many people as possible. Can you talk a little about Robert Isom’s visit to MIA? 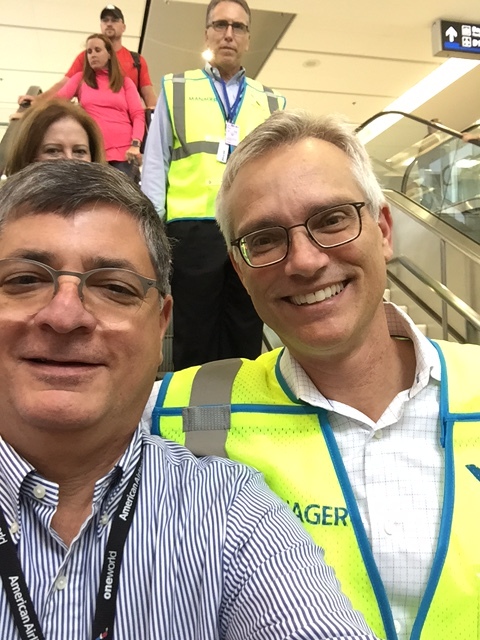 While I knew Robert Isom was in the airport and would be paying a visit, he arrived with Envoy Vice President of MIA Hub Migdoel Rosa and Ralph Lopez, the vice president of American Airlines in MIA, right as I was addressing and thanking the employees! Robert and his group thanked the employees for coming to work even though he knew that we were all dealing with our own personal issues. 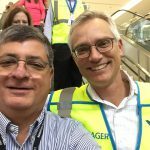 Our employees were surprised (in a good way) that the president of AA was here to check on us and thank us literally right after the storm passed. They were impressed! Is there any message you would like to share in regards to our employees’ dedication out on the MIA ramps? I won’t speak about just the ramp. I will speak about the almost 1,000 employees we have at this hub, and I’d like to speak to them directly. You didn’t surprise me. You went above and beyond to look out for each other. You came together to focus on getting the airline running again, all while you were dealing with your own troubles. As I mention to you all the time, I’m very proud of this team, and I’m thankful that I can be a small part of it.